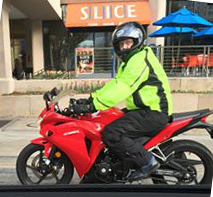 Just completed my first 800 miles (850 to be more precise) on my little cbr250. I’ve learned a few things in the process. Practice, practice, practice. The BRC gets you started, but it takes a fair bit of practice to get going with any level of real skill. There will be people who claim to have picked it up immediately. They’re either lying, fooling themselves, or unusual prodigies. Go slow to go fast. Learn to place your bike. Then you can go faster. If you just try to go fast, you’ll be sub-optimal. No one sees you. Really. I’ve had people blithely walk into the street in front of me and even next to me. And they weren’t even on their cell phone (mobile). Watch out for cars. Cage drivers text, drink, smoke and do everything but pay attention to the road. Occasionally you’ll run across a really crazy one. Let them get in front – you can keep an eye on them that way. It’s a surprising amount of exercise. Your legs will get a workout from shifting weight in turns and lifting your bum when going over bumps. There are lots of bumps on Atlanta streets. Your arms and shoulders will get a workout too. The wind at 65-70 miles an hour is ferocious. So is the noise. It will buffet you – which is why your shoulders will hurt. My CBR needs a better windshield to use on the highway. Up to about 50-55 mph the wind is not bad. Above that it’s a P.I.T.A. It could also use a few more horses if I were to ride freeways more often. On the other hand it’s a great city bike – snappy, nimble, and fast below 50 mph. One of my wife’s students caught a picture of me on Piedmont street on my way home. Outside of practice, practice, practice and ATGATT (All the Gear All the Time) a few thoughts on what I’ve learned in the last few weeks. Lane position. A motorcycle has the right to be on the road. Use it. It actually increases your visibility if you weave a bit. In queues I’ll tend to be on the right where I can get out of trouble if the car behind me gets too close. (I’ll also stop further back than I would with my cage car. ) On the other hand I’ll stop in the left side of my lane when that’s where I can see what is happening. It’s also important to give yourself the room to turn. Turning right from the far right of the lane results in crappy turns. The “cagers” don’t see you. (This youtube video, while horribly edited, is right on the spot). You will appear “out of nowhere” – get over it. It’s not malice. Defensive driving is a must – but you knew that already. It does mean I’ll give the car in front of me more distance than most. I’ve learned to hate tailgaters – even more than I do with a car. If I’m driving at 35 mph, it’s not because I’m slow, it’s the ************** speed limit and/or the speed the car in front of me is going. Timing and rhythm are important. Think smooth. When it works, you can pop through the gears and be moving at the speed limit in no time. Leaning your bike with countersteering and acceleration is not just the right way to turn, it’s really fun. No “chicken strips” on my bike. It is exercise. This is the one real surprise to me. Riding is physically demanding. You’re holding on to your bike with your legs, shifting weight in turns, lifting one’s bum when there are unavoidable bumps, and putting your feet down when stopping. (Though I can balance for a few seconds.) I don’t know how much of this is stopping in traffic and my “sport bike” and how much is innate to the genre. Hearing protection. My helmet (especially when I’m going fast enough to put the visor down) muffles sound until about 45 mph. Above that speed the wind noise gets a tad loud. Use ear-plugs if you’re planning to be that fast for more than a few minutes. Middle-aged and old white men will want to drag race you at stop lights. Ignore them. You’re already way cooler than they ever will be. I recently joined the fellowship of motorcyclists. It’s something I’ve always wanted to do. So I finally did it. The featured image shows me in about half of my safety gear – that jacket is armoured. For what it’s worth I’m a strong believer in ATGATT (All The Gear All The Time). People worry a bit about the hazards, with good reason, but the serious accident rate in a bike is about the same as driving a 1970’s or 1980’s car. Still, I’m a highly defensive driver, and not just with my bike. It looks a little shaky parked in my garage. I’d just finished my first ride on the roads (after training and getting my license) and was shaky myself. The clutch was different from the nighthawks on which I trained and the engine needs to be given enough gas petrol. I don’t get shaky like that now. Well, not quite, now I’m excited. I try to practice at least a half hour a day. Maneuvering – turns and swerves – is easy. It’s, if anything, more stable than a regular bicycle. I’ve practiced emergency stops, starting on uphills, and holding a constant speed. I’m slowly getting competent and able to ride in real traffic. Uphill starts, mostly mastered. Smooth starts on really steep hills will still take some work. Turning on hills, left, right, from downhill and from uphill. In good shape. Night driving. Not bad – there’s more visibility than with a car. Negotiating a gas station and filling the tank. Negotiating heavy Atlanta traffic and stop lights. I’ve had the bike up to about 40 mph (a little fast for the 35 mph roads) and the sensation of speed has so far been exceedingly fun. Even a 250CC bike can accelerate when you push it. I’m having to watch speeds when I drive a car. It just seems so slow. I alluded to taking a MSF Basic Rider’s Course in my last post. I passed! It means a trip down to the DSCC (Georgia’s DMV) to get my licence endorsed. It means another quandary. 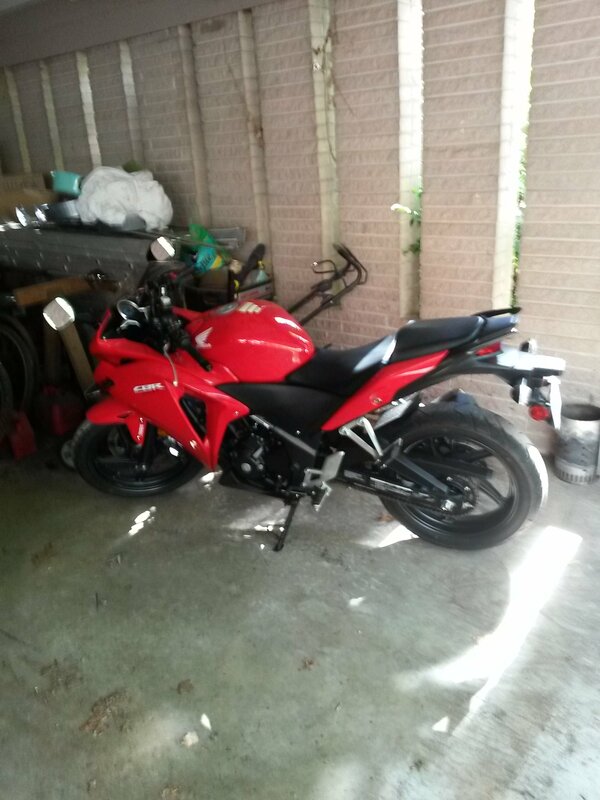 What kind of bike? There’s another problem. Motorcycle technology has advanced, but not all bikes share in the advances. Choke vs. Fuel injection. 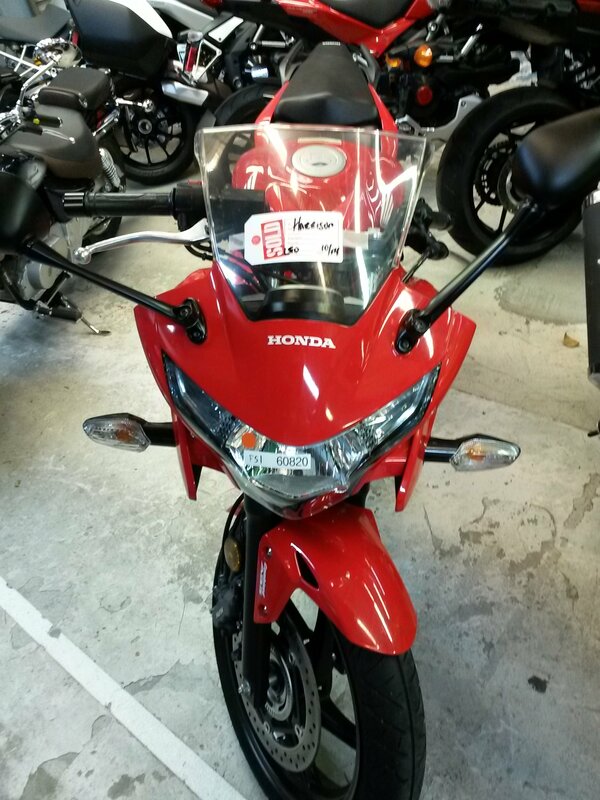 You can still buy a new motorcycle with a manual choke and good old fashioned carburetor. Wire Wheels vs. Solid Wheels. Wire wheels look neat, exactly what a motorcycle “should” have. They need to be tuned or “trued.” Not an inexpensive process. 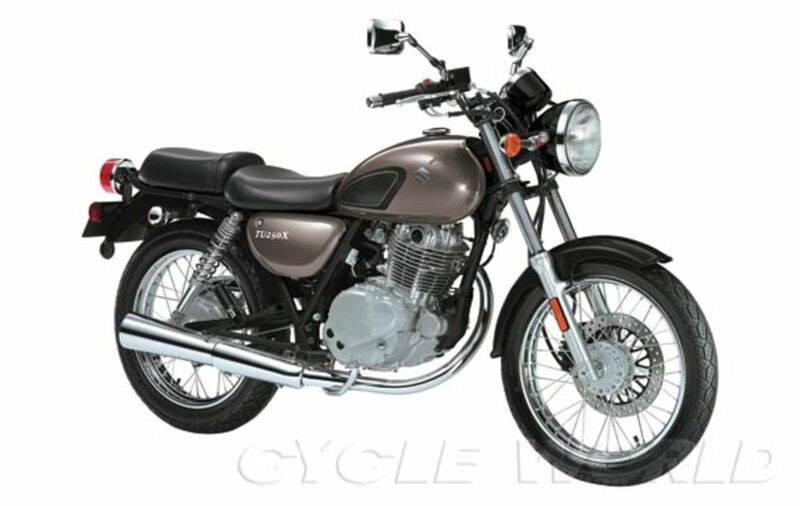 The small “standard” bikes, like the Kawasaki Tu250x or Honda Rebel, are what I imagined riding. None of them have ABS. 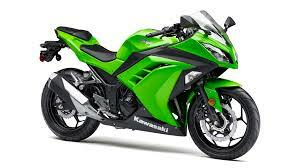 The sport bikes, like the Ninja 300 ABS or Honda CBR300 ABS, look like racing bikes (they aren’t). They use modern technology. Addendum: The issue has been studied and the evidence is indisputable, even in multiple nations. A sport bike it is.